3D Printing at the Education Commons! The Education Commons has just acquired a few 3D printers! We have one 5th generation Makerbot, and 2 Makerbot Minis. We’ve been testing the printers and our procedures over the past week, and the printers will open for campus use on Monday, February 16. We’re excited about offering the printers for all Penn students, faculty and staff. Penn’s campus has a number of 3D printers already, including the School of Engineering’s AddLab. The printers at the Biomedical Library and here at the EC are open for any use you might be interested in. We’ll start with printing objects and then move to training people on how to use the printers. There are a number of sites with pre-made 3D printing objects set up on them that you can check out, such as Thingiverse, 3D Warehouse, and Smithsonian X3D. We’ll offer workshops soon where you can learn the basics of the software to create your own 3D objects for printing. Keep an eye on our workshops calendars at the Education Commons and Weigle Information Commons to find out about workshops. Aside from these nuts and bolts about the printers, we’re very excited to see how people will end up using the printers. We certainly expect a good number of academic uses, and I can’t wait to see some of creative uses you all will think up for these machines. Whether you want to make yourself a Penn logo, something for your club or athletic team, or just anything else you can think of, we’re happy to help you out. Most of us have heard of 3D printing in some form or another by now, and while we’re not quite ready to help you print a lawnmower or replicate some of the Ben Franklin statues on campus (though maybe in miniature? 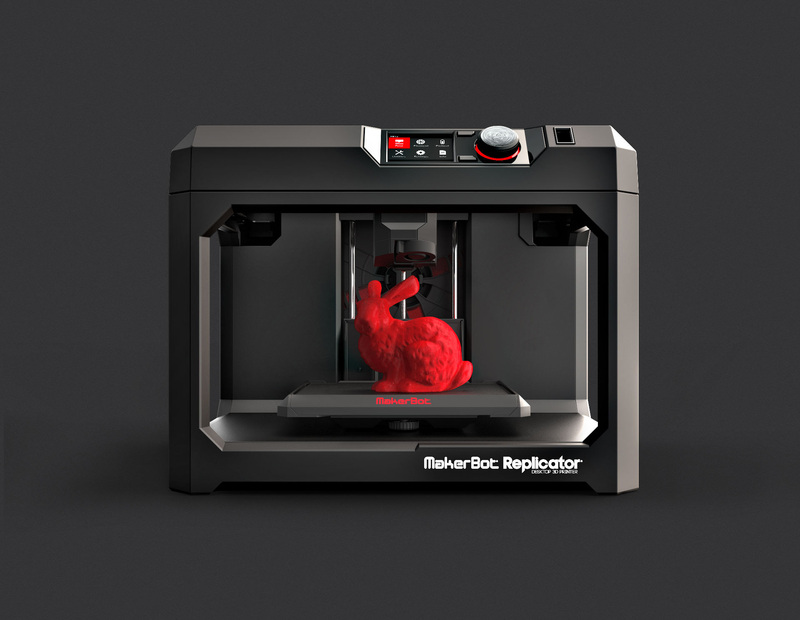 ), these printers can definitely help you with rapid prototyping, printing out your own art, making floor plans, or anything else you can think of that fits in the Makerbot’s build volume (about 11x6x6 inches). This is a new service so please let us know what you think as you start to work with the Makerbots. If you have comments you can email us at educom1@pobox.upenn.edu or just let us know right at the EC desk. We’ll definitely be paying attention and improving our process over the coming weeks. For more information about how to request a print job on the Makerbots check out our 3D printing page.